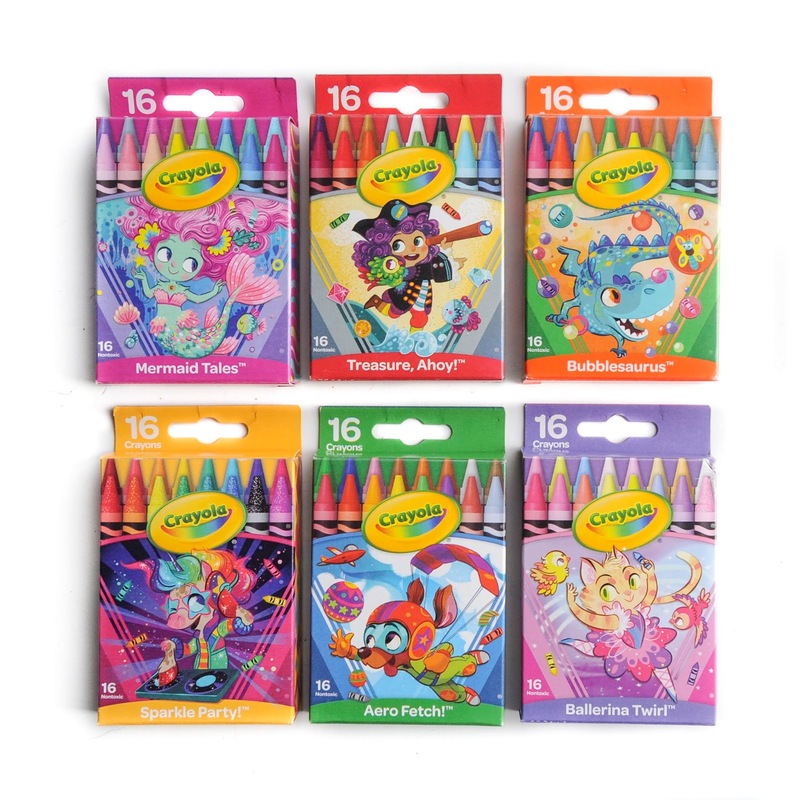 You can imagine my surprise when I found a new Pick Your Pack series when wandering the aisles of Target. I thought 2014 was going to be the last year they were going to make the series. 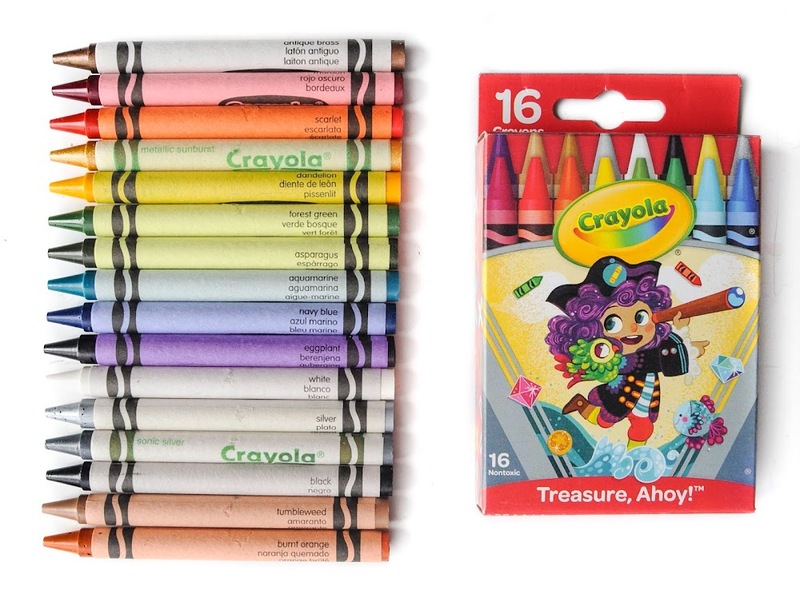 The series start in 2011 as 8 count boxes with an Only At T in the bottom right corner of the crayon box. It was a test series in select Target markets. 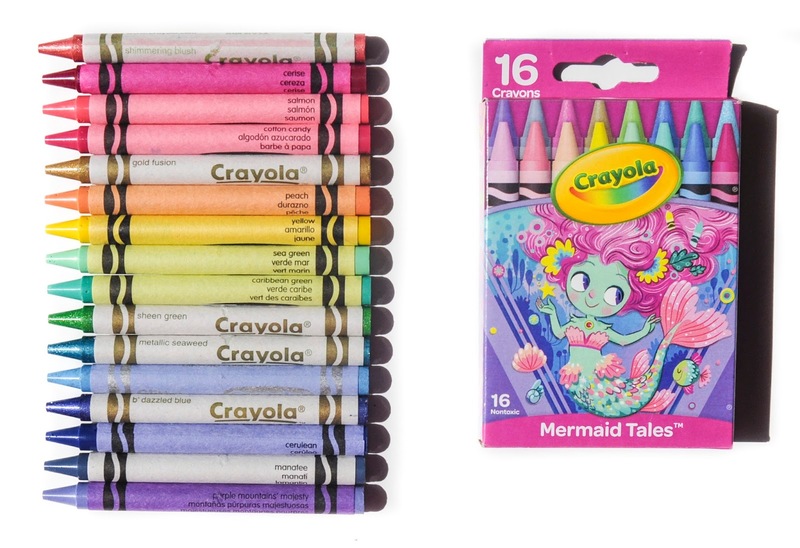 It expanded to more color combinations in 2012 and in 2013. 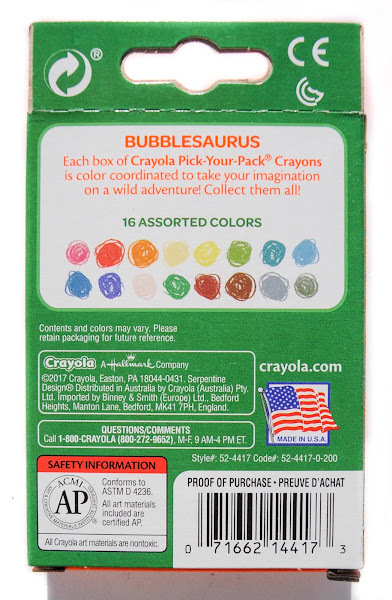 Crayola changed the bottom right corner of the box to say Pick You Pack instead. 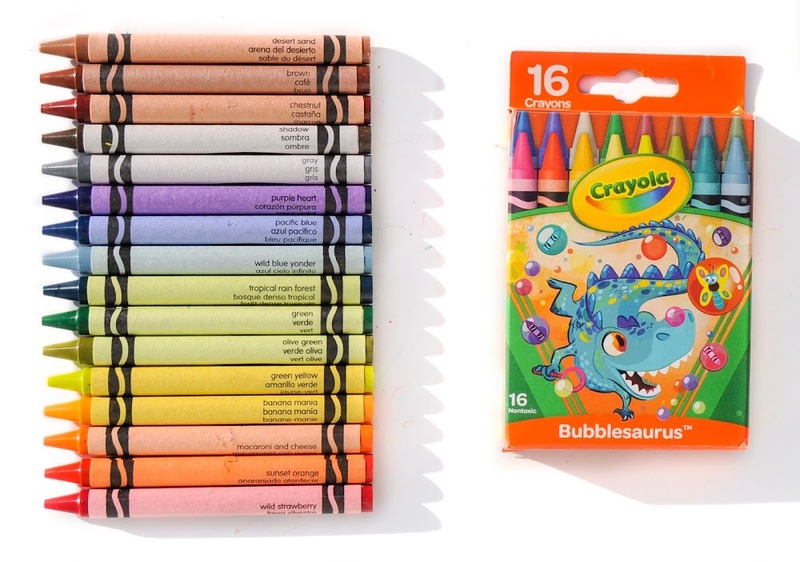 In 2014 they made new boxes, but also introduced 16 count boxes. 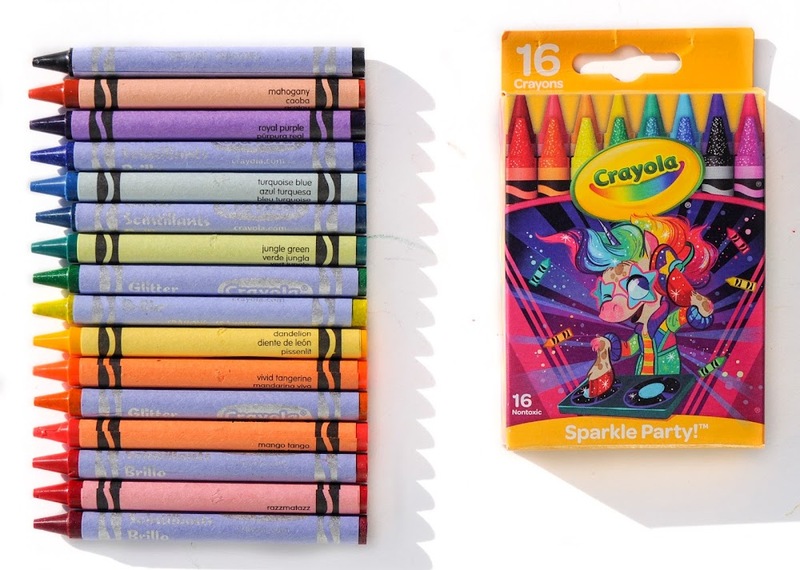 This year the 2017 boxes have totally been redesigned. I did not like the new design at first, but it is growing on me. 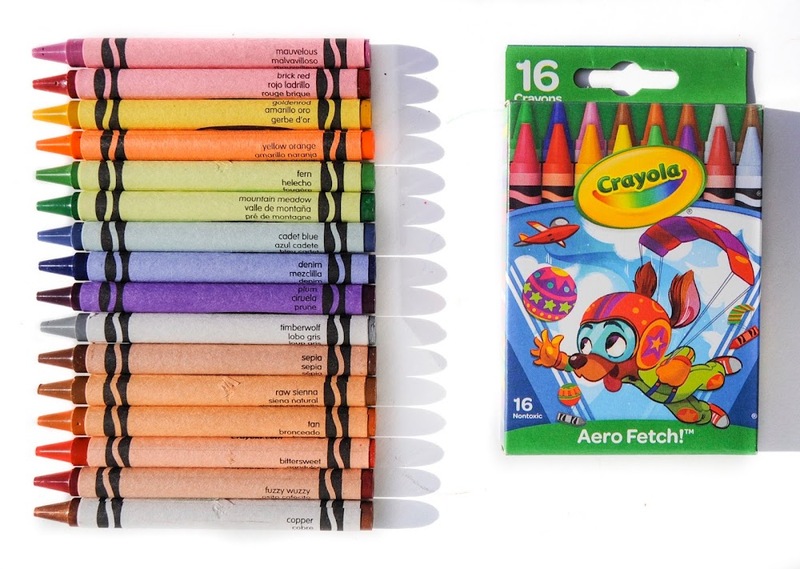 They are more colorful and cartoon like, probably to entice little kids to get them. The Sparkle Party! box remind me of my little pony. 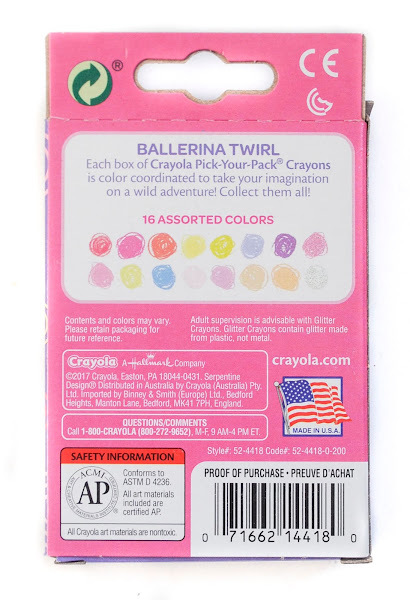 They also feature the colors of the crayons inside the boxes on the front of the box. 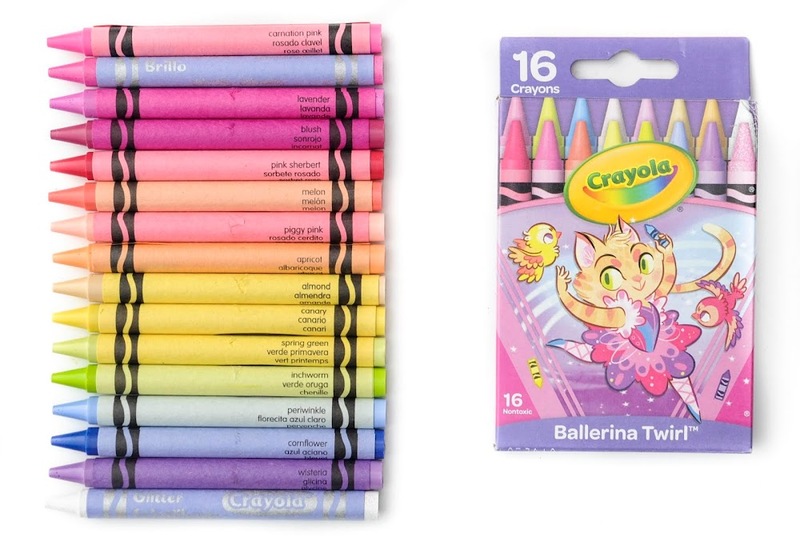 This helps the consumer know which crayons colors they are getting. 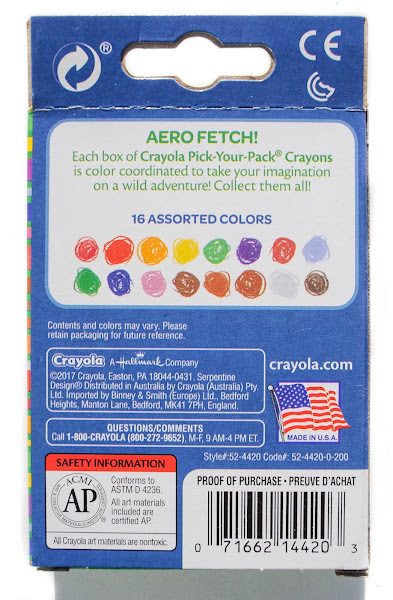 2017 Pick Your Pack: Aero Fetch! 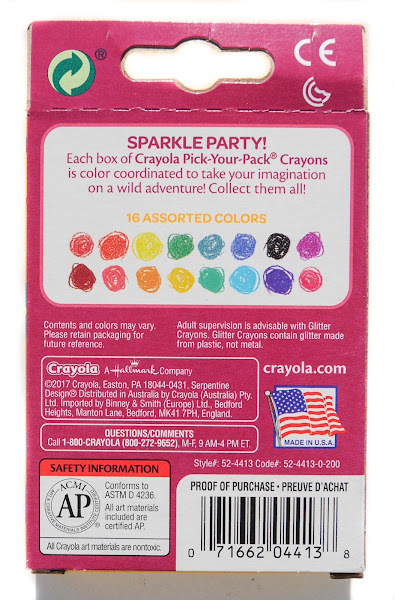 2017 Pick Your Pack: Sparkle Party! 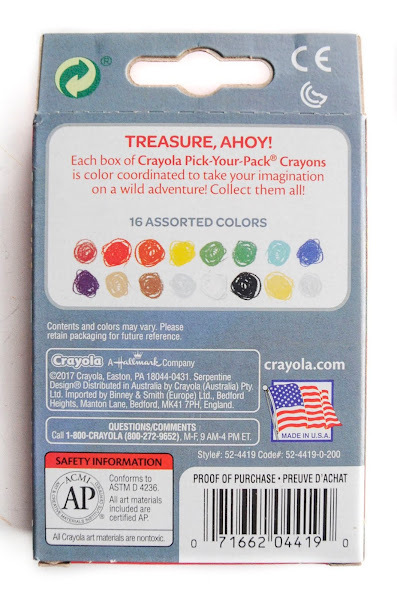 2017 Pick Your Pack: Treasure, Ahoy! 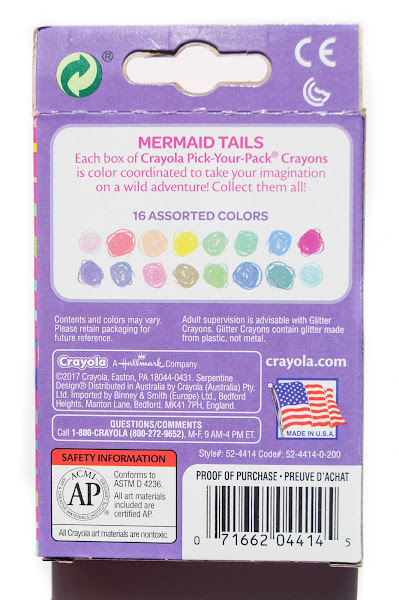 It is interesting to note that there is a gap in the style number probably signifying there are more pick your pack boxes coming. I certainty hope that's the case! 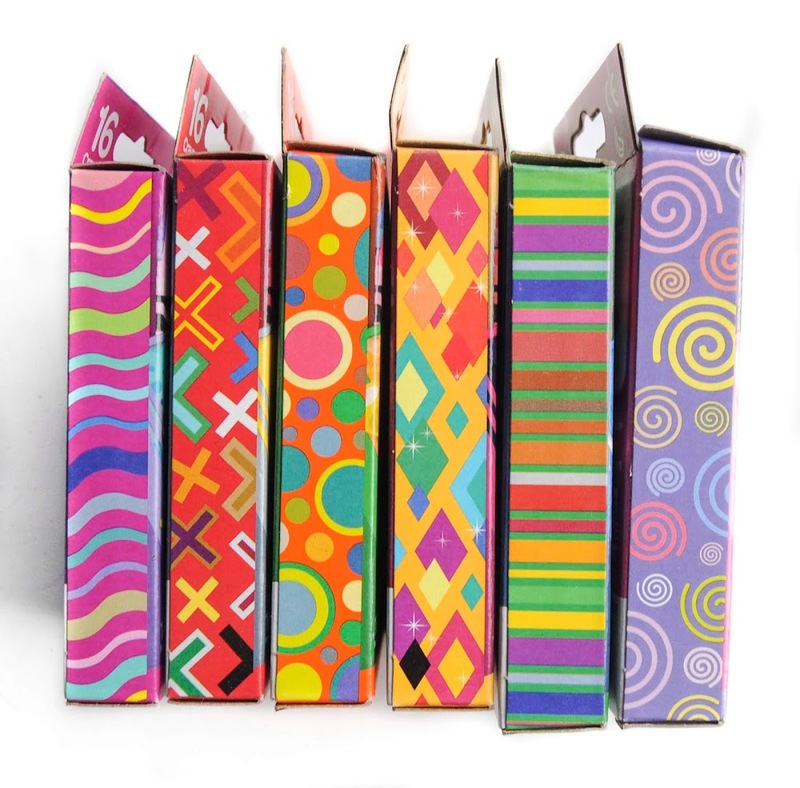 Get these boxes while you can, in a few years they will not be available. In Sparkle Party, since Dandelion retired, it now contains Laser Lemon.